I’m one quarter/three months into my year long re-read of all of Willa Cather’s novels. Since she wrote 12 of them, I am reading one each month in chronological order of publication date. With the exception of The Professor’s House which I have read three or four times, I don’t really remember anything that happens in any of her other novels. Many of them because I read them 20 years ago and the others because I have a hard time remembering anything I have read. Published in 1912, Alexander’s Bridge is a short work about a successful bridge engineer who is struggling to decide what to do about his wife in Boston and his mistress in London. The moment at which Cather decides to tell Bartleby Alexander’s story is one fraught with mild regret, inertia, complacency, and a desire for something to change. He’s in a spot where his life is less about potential and more about trying to figure out how to live the rest of his life. In the end, events overtake the possibility of him making his own decision about his future. I’ve been doing a lot of research on Ancestry.com recently (one of the reasons I haven’t read or blogged much lately, it’s addictive) and am often struck by how little the historical record can tell us about our ancestors. It’s been fascinating to find the names and vital statistics about the hundreds of people whose amorous endeavors led to my existence, but there is so much more I want to know–and can never know. Records–pieces of paper–get lost, destroyed, mislabeled, and go undiscovered, and major details or entire people disappear. This doesn’t have much to do with Alexander’s Bridge, except that at the end there is a piece of paper, a critical piece of paper, that has the potential to change everything or nothing. Willa Cather wrote about may things, but it is her novels of the the great plains for which she is best known. Published in 1913, O Pioneers! is a seminal telling of the northern European immigrant experience on the American plains. But! Before I lose you, it is also highly readable and highly enjoyable. It’s one of those “important” books that just happens to be a damn good read. What makes O Pioneers! particularly brilliant is that it is just a given that the prime force of the book is a woman. Cather doesn’t need to hit us over the head with the fact that women settled the plains as much as men did, she simply presents us with a character that many of us who grew up in, or near, rural life would recognize immediately. If you are wondering where to begin with Cather, O Pioneers! would not be a bad choice. Of course I still have 9 more novels to re-read, but I still feel comfortable making that assertion. The second of Cather’s so-called Great Plains novels (sandwiched between O Pioneers! and My Ántonia) The Song of the Lark is grounded in the great plains but it takes Thea Kronberg off to Chicago, Germany, and New York where she becomes a celebrated opera singer. There is much that is enjoyable about this novel, but it would have benefited from some judicious editorial pruning. It also leaves me wondering if Cather meant to leave the impression that Thea was, after all, still a creature of the plains, or if she had become so changed by her life in the east that she had become not just a shell of her former self, but also a shell of human being. I think Cather may have been trying to do more of the former, but I can’t help but feel like she had become more of the latter. In some ways, I feel like Cather may have lost her way with the narrative, or perhaps she changed her mind. Halfway through the novel Thea takes a break from her hectic life in Chicago to rest and recharge on a ranch in Arizona. There she comes to the conclusion that there is nothing about her life in Chicago that fills her subconscious in the way her childhood on the prairie does, or even her time she spends visiting the southwest. She goes on to account how the shards of ancient Native American pottery she finds–utilitarian vessels for food and water, are nonetheless decorated–represent an attempt to capture the joy and sorrow in life as much as they are for storing physical sustenance. It seemed this was to be Thea’s leitmotif as well, but in the end it seemed to me that her art, while providing great joy for her fans and for those close to her, provided her with no spiritual sustenance. Cather presents Thea as a bit too close to the stereotype of the operatic diva that it is hard to make any connection between Thea’s past and current life. This could be an interesting theme to explore, but Cather’s portrayal of Thea becomes as one-dimensional as the character herself. In earlier sections of the book I understood who Thea was, or at least had a more rounded sense of her as a person. Once she left Arizona and started her career ascent, Cather has so much happening off stage (if you will) it is hard to believe in who she has become. This is the first novel in which Cather takes us to the southwest. I will have much more to say about her treatment of it after re-reading some of her other novels, but suffice it to say I find Cather’s writing about the southwest evocative, beautiful, and deeply spiritual. I am a month behind (I am not going to reread The Professor’s House or My Antonia). I just finished O Pioneers! and loved her descriptions of the land and the people. From the point of view of 2017, her characters are much tougher on themselves and each other than I expected, but that probably come from their day to day lives being physically much harder than life today. On to The Song of the Lark for April! I love Cather – The Professor’s House is the last of her novels I have to read. I also thought Song of the Lark needed editing, I enjoyed it but less than O Pioneers and My Antonia. I am thinking Song of a Lark will not be my favorite, but the premise sounds interesting. You can’t imagine how happy it makes me to know that you don’t remember what you read. Sometimes I wonder why I even bother, but I read because, in the moment, it makes me happy. I love this idea although I am NOT doing reading challenges this year. Hm, one for another year? I loved Death Comes for the Archbishop and agreed on Song of the Lark, quite unevenly paced but still a good read. I loved O Pioneers! and I’ve only read it once but remember a distinctly shocking plot twist that I wasn’t expecting. My favorite is probably My Antonia but I loved One of Ours, which had far less to do with WWI than I thought it would. I still have Alexander’s Bridge and Lucy Gayheart unread. I did bring nearly all my unread books overseas so my hope is to make some progress and actually read them! I think this is a great idea. 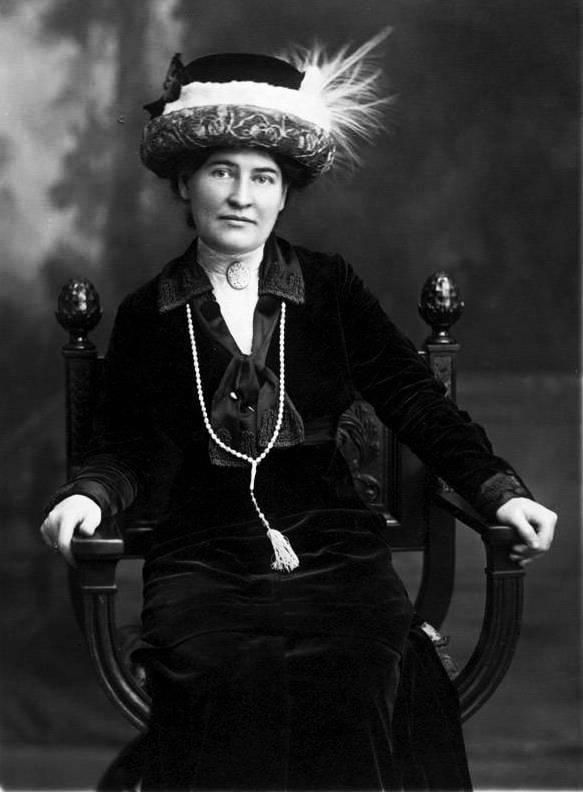 I hold Willa Cather to be an under-rated, under-appreciated author. I’m planning on doing this with Jane Austen later this year, once I complete my little collection with Mansfield Park. Maybe I’ll do Ms. Cather next year. A couple years ago we listened to the My Antonia audiobook during a road trip to the Black Hills. So this was the duration of Western MN and South Dakota. It was a wonderful way to revisit the story. We could look out the window and see the exact type of land she was describing in the book.